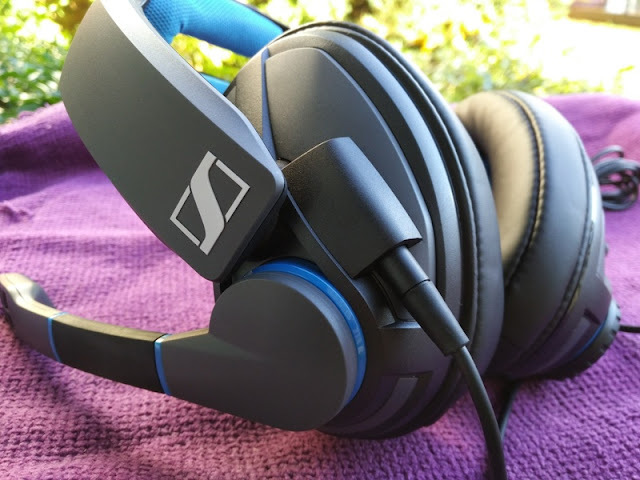 Comfort and great performance is what a gaming headset is all about and that's exactly what you get with the GSP 300 gaming headphones by Sennheiser! 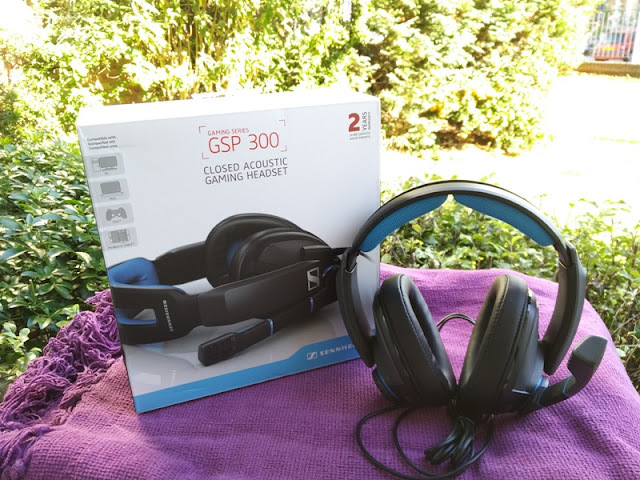 The GSP 300 gaming headset is perfect for anyone looking for a pair of headphones that you can use for listening to music, gaming and voice streaming on Twitch or YouTube. 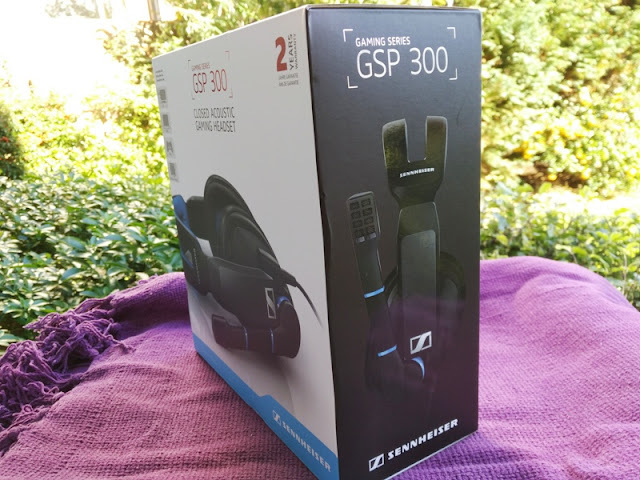 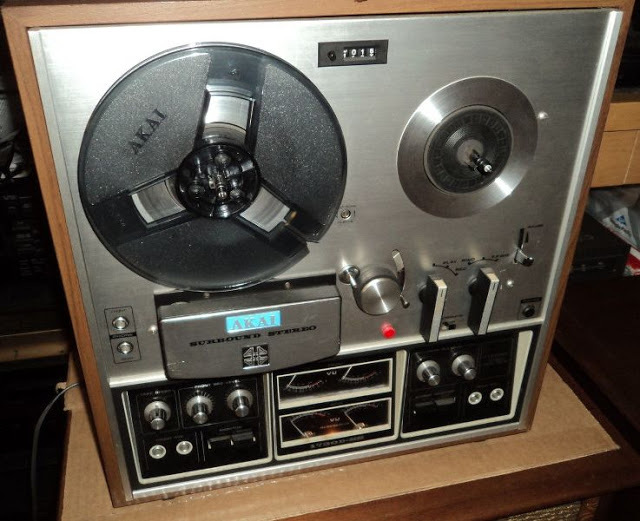 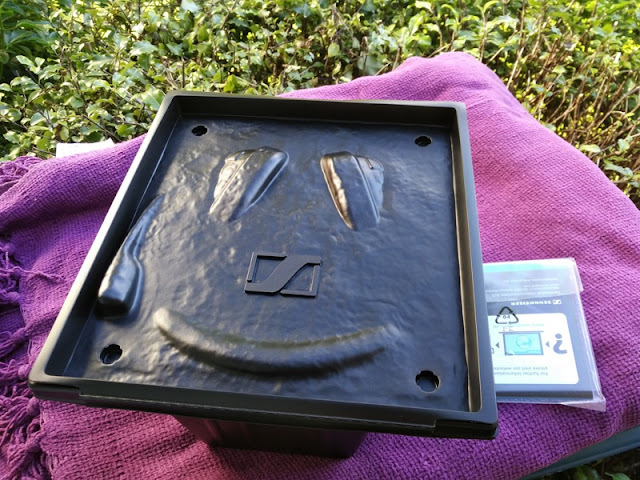 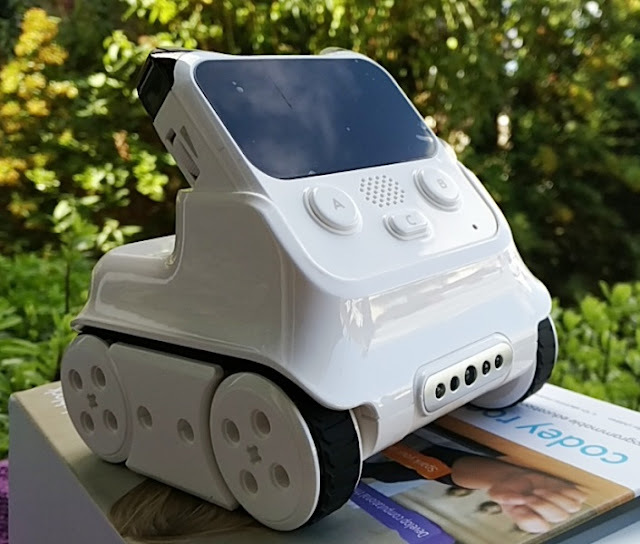 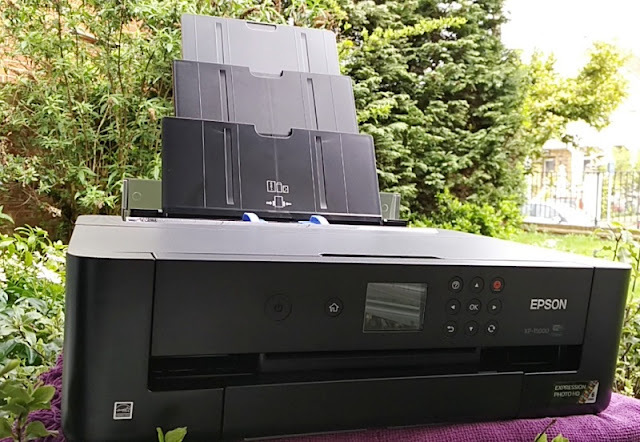 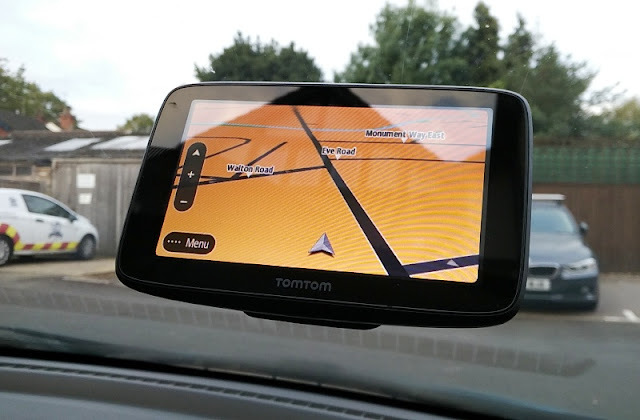 The GSP 300 is simplistic in design, without flashy branding or embedded RGB LEDs. 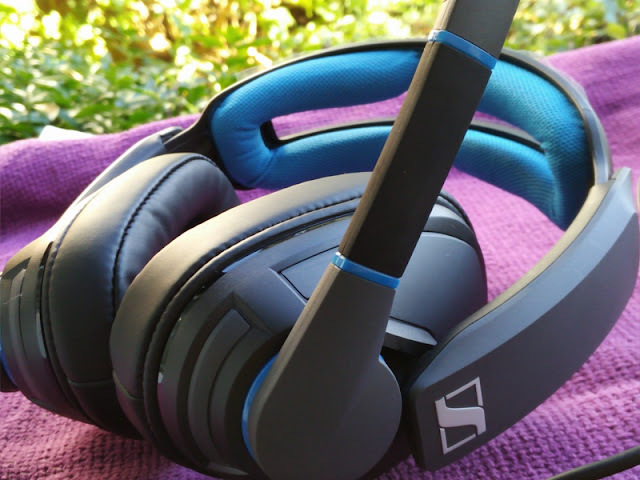 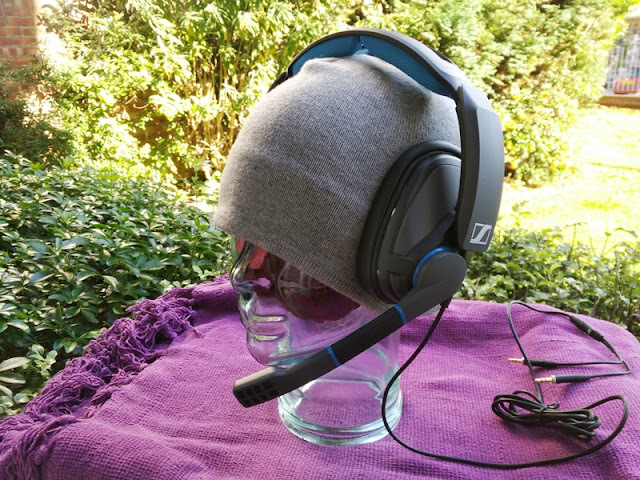 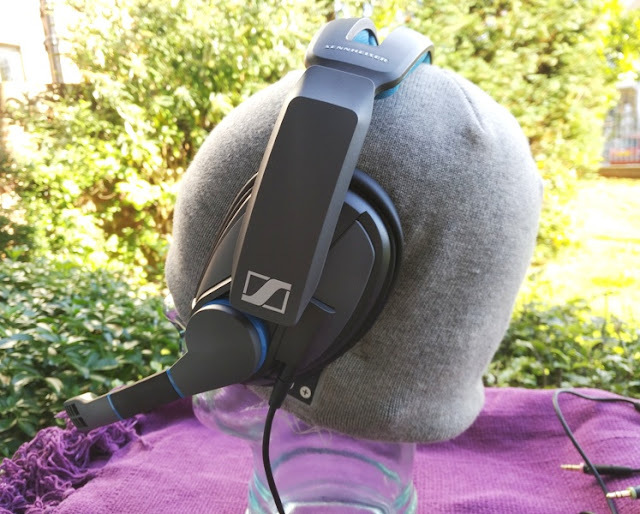 The main color is black with blue accents and simple Sennheiser logo on both sides of the ear cups, along with Sennheiser text and GSP 300 numbering on either side of the headband. 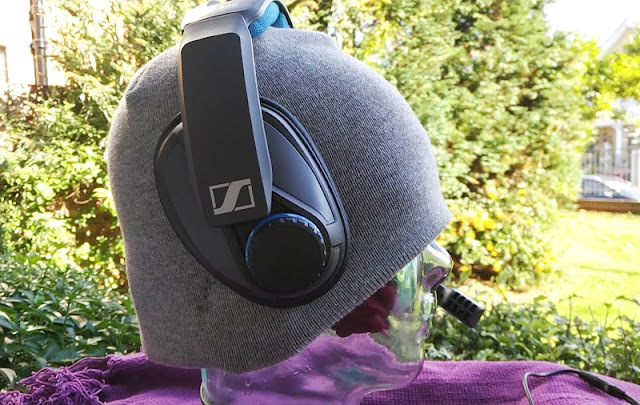 The left and right side of the headphones are marked on the inside part of the headband, which has adjustable notches so that you can extend out the headband equally on both sides. 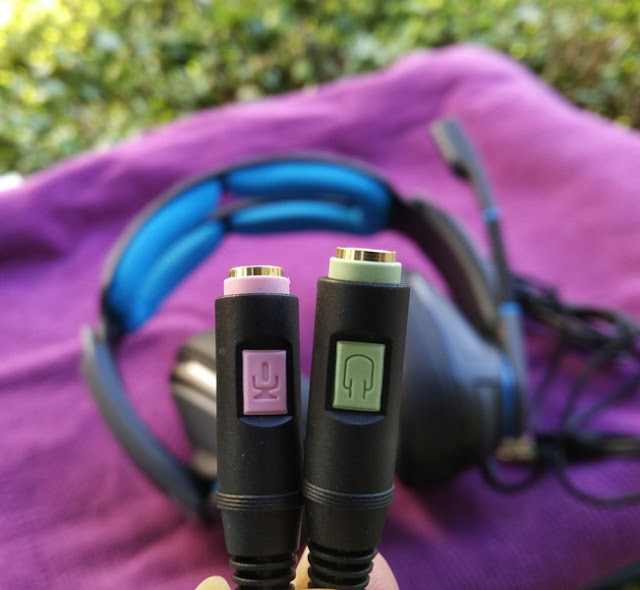 The non-removable 2.5 meter cable splits into a headphone jack (green) and microphone jack (pink) for devices that have separate headphone and microphone sockets. 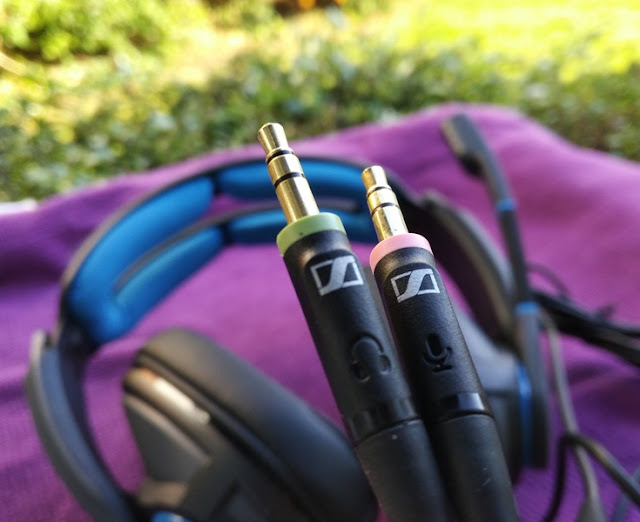 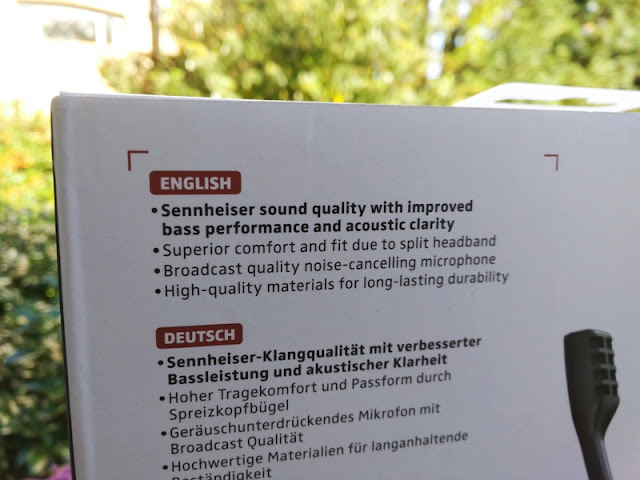 Sennheiser does also include a PCV05 combo audio adapter for mobile devices, PS4 and Xbox One, which have a single mic/headphone jack. 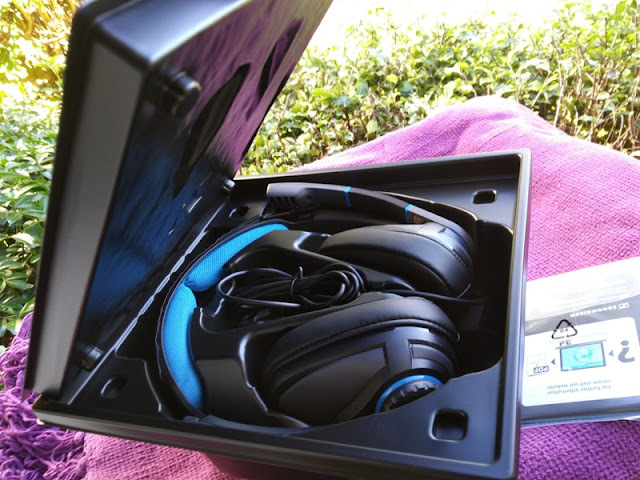 The body of the GSP 300 gaming headset is made of nice quality plastic so the headphones don't feel fragile or cheap. 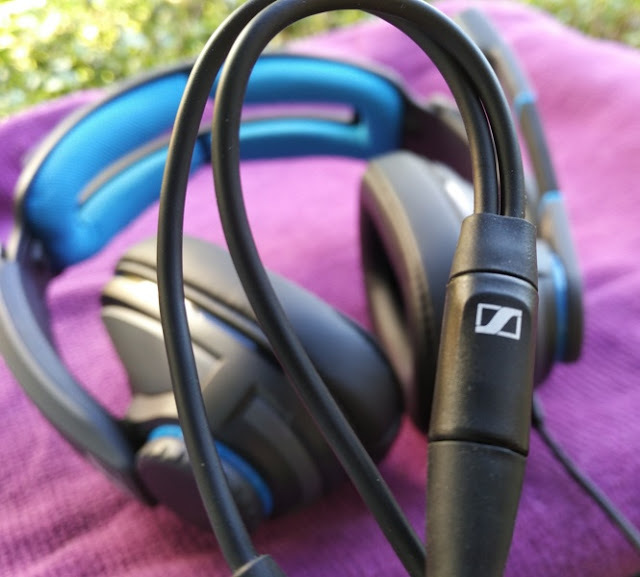 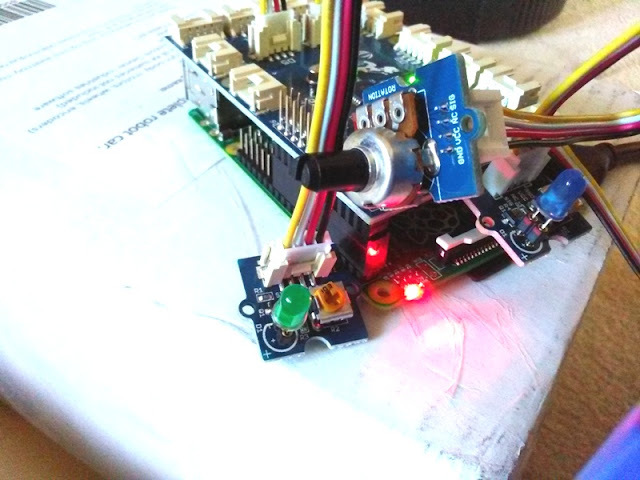 The non-removable microphone, which is located on the left side of the headphones, moves up and down and automatically mutes the microphone when pulled all the way up. 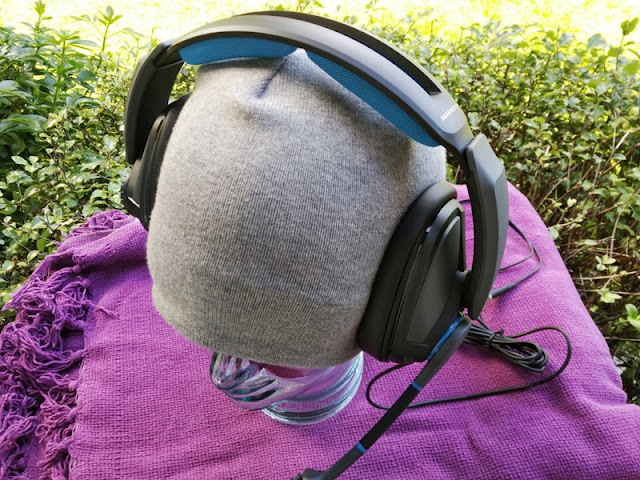 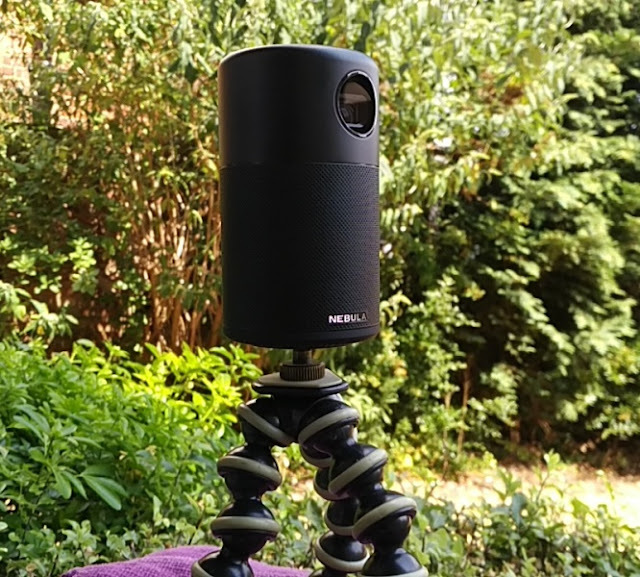 The boom mic extension is sturdy enough and sticks out far enough from the mouth so the mic does not pick up popping and breathing sounds. 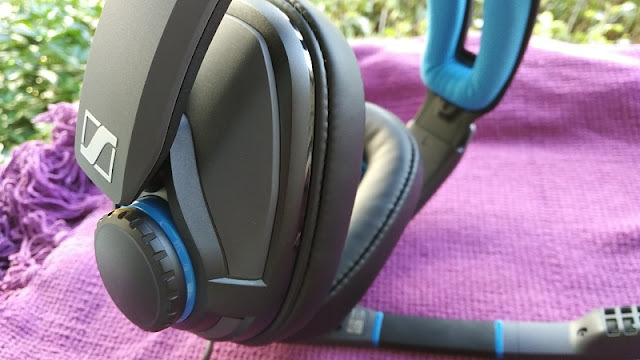 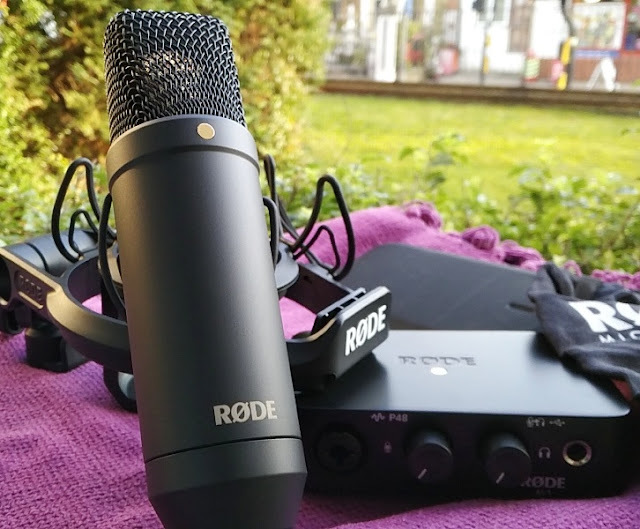 The noise cancellation feature on the mic prevents the mic from picking up background noise while at the same time picking up your voice with clarity. 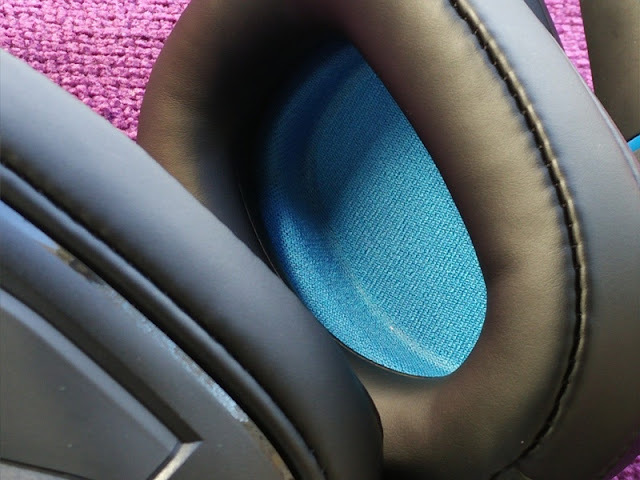 The right side of the GSP 300 ear cup features a volume control dial so you don't have to reach on the cable. 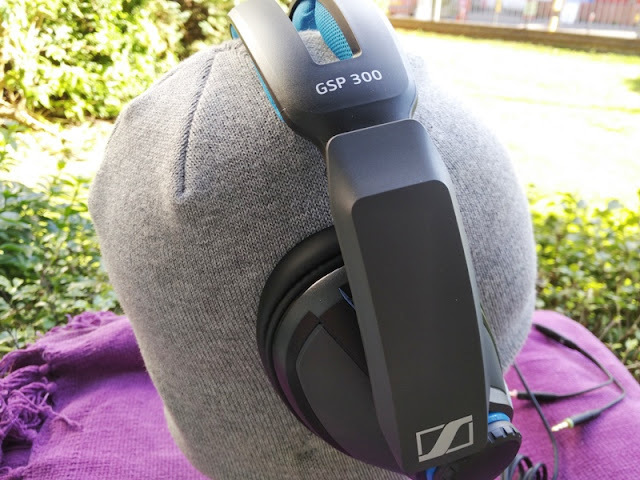 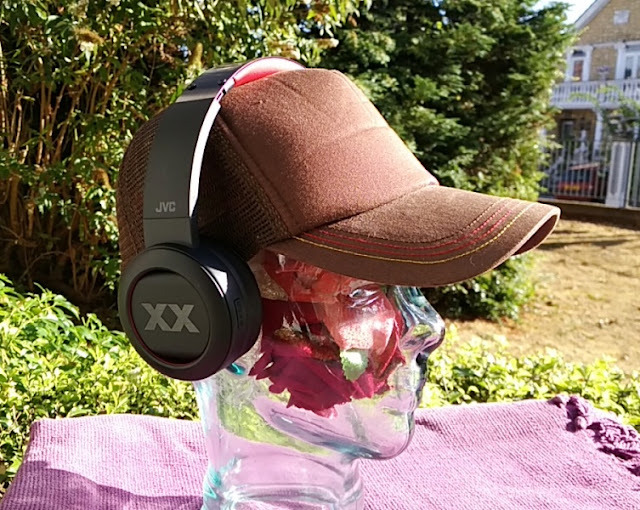 The GSP 300 headphone drivers deliver open sound that you would expect from a pair of audiophile headphones but without sound leak thanks to the GSP 300 being closed back headphones. 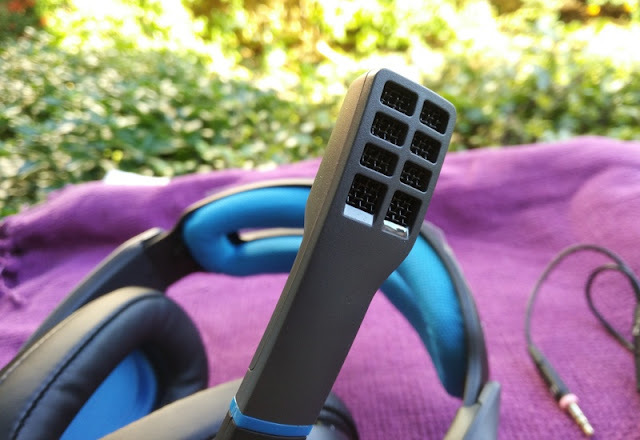 Considering that the GSP 300 headset actually doesn't have surround sound like the GSP 350 Surround Sound headset, there is a boomy bass which can be felt, especially while listening to music and during gameplay. 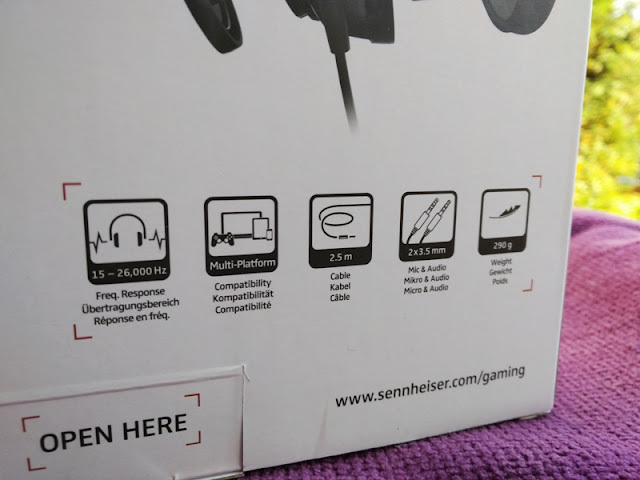 Another nice feature you get with the GSP300 gaming headphones is that the impedance rating is only 19 ohms. 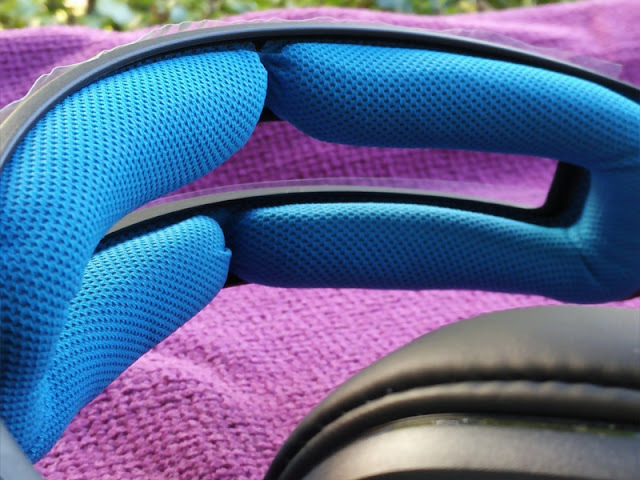 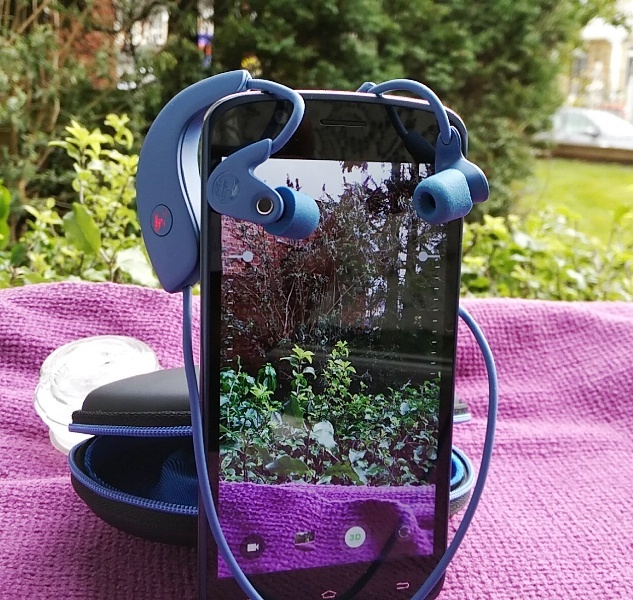 This means, your smartphone can drive these headphones easily without being under-powered.